Backed by a two-year engine warranty, this high speed propane buffer gives floor care professionals the performance features of higher priced units in one more affordable package. 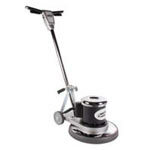 With a wide 28 inch polishing width, it maximizes floor coverage and features an 18HP Kawasaki propane engine. This system, unique to Pioneer Eclipse, creates a burnisher that is 34 percent more fuel efficient and requires 40 percent fewer oil changes than any others in its class! An adjustable handle and soft tread wheels allow for precise custom set up for operator comfort and optimal results. The Rok-Bak™ feature allows the machine to safely tilt back on its handle without stalling the engine and fully exposes the under carriage to allow the operator to change pads easily without tools. Exceeds both EPA and CARB minimum requirements. 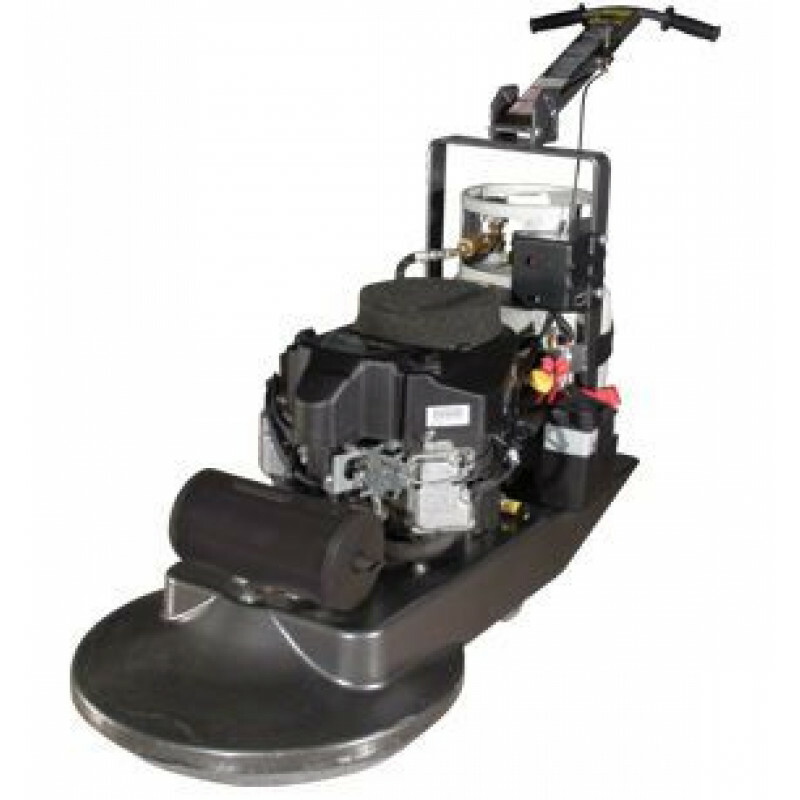 If one of our propane burnisher buffers isn't quite what you're looking for, take a look at our electric floor burnisher buffers or our battery powered burnishers. Easy access battery and oil reservoir for quick maintenance. Rok-Bak™ action allows for quick and easy pad change. Quick release cylinder strap for fast tank change. Triple anchor welded handle support for long lasting maneuverability. Soft tread adjustable wheels for smooth operation and pad pressure adjustment. Adjustable ergonomic handle for improved operator comfort. Easy access filters for simple cleaning.